Who wouldn’t want a holiday sweet or delicious treat this holiday? 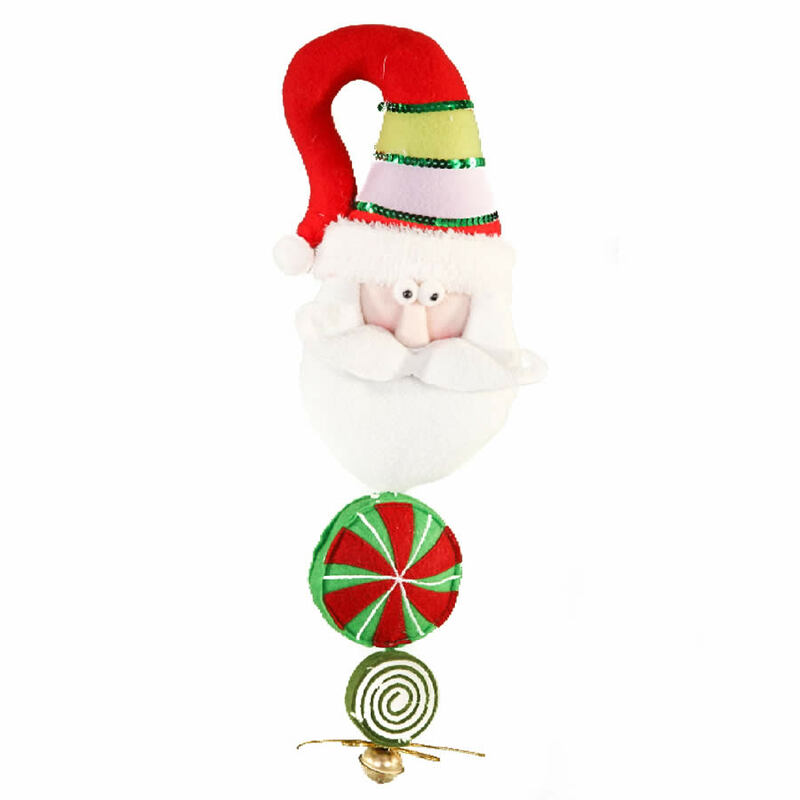 This clever Candy Door Hanger Santa with bell on End will give guests and visitors a welcome surprise when they enter the door to your home. Each hanging accent measures around 10cm wide by 45cm in height, so it is the ideal size to garner attention, without interfering with the opening or closing of your home’s doors. 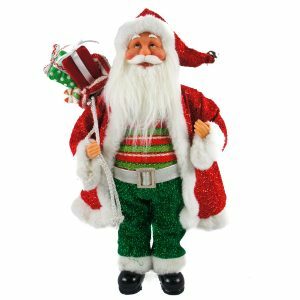 This delightful hanging plush accent depicts Santa’s face, followed by smaller size plush candies and treats. 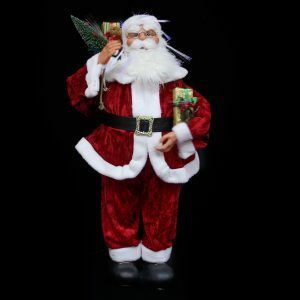 Santa has a funny expression on his face, and he wears a festive and brightly coloured cap. At the very bottom of this sweet hanging Santa is a golden jingle bell. This will alert you when friends or family enter the room or the door to your home. The long tail of his red cap loops over the knob securely, giving a festive Christmas touch to all of the spaces in your home this season!